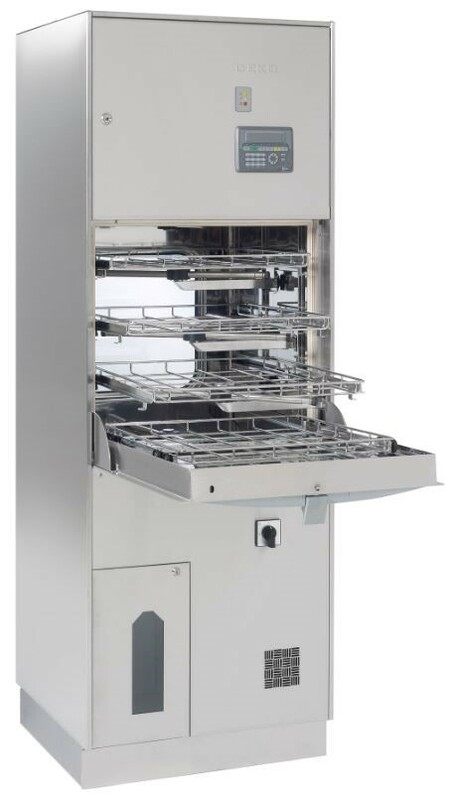 The Deko 260 washer-disinfector-dryer is designed and manufactured to be suitable for places with limited space but diverse usability needs. It builds on the already well proven reliability and simple operation and ensures thorough cleaning and efficient processing of reusable medical and laboratory equipment. Despite the compact overall size of the Deko 260, it provides an unforeseen loading capacity and numerous user-friendly features that make the daily operation easy and trouble free. Thanks to its integrated condenser and well constructed sound & heat insulation the Deko 260 is pleasant and secure to work with. Models include both single-door and pass-through options, heated safely by concealed electrical elements. Sustainability is guaranteed by the use of durable and recyclable stainless materials and reliable components, suited especially for machines in professional use. The long serviceable life cycle and low overall costs guarantee true value on your investment.